Enjoy the top 4 famous quotes, sayings and quotations by Amanda Hamm. I did the only thing I could. I said the dumbest thing any man has ever said to a woman, "Yeah, it's just me and my trash can here," as I patted its lid and started pushing it up the driveway. Want to see more pictures of Amanda Hamm quotes? 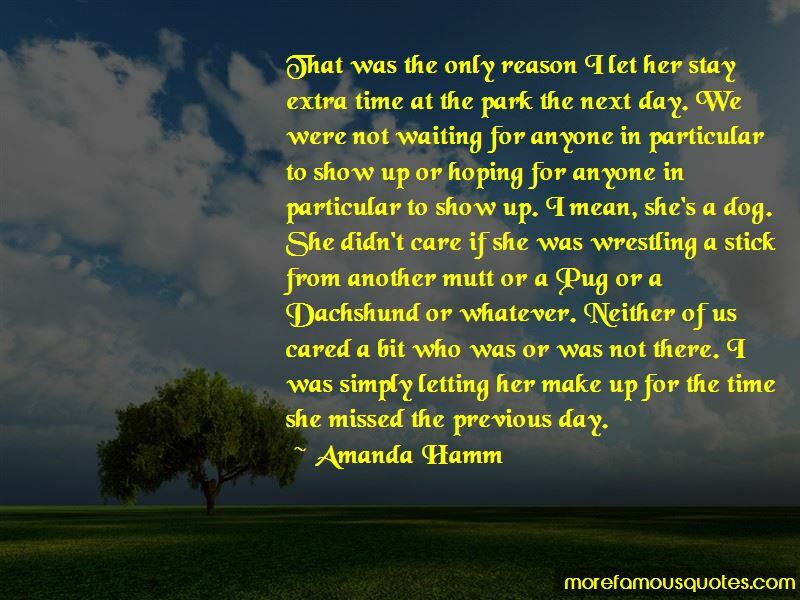 Click on image of Amanda Hamm quotes to view full size.